The Ball Is In Your Court. Nov 2017. How do we invest in future generations? How do we make sure that we pass on what is cherished? Also, what are the things that we would like to learn from those who’ve ‘been there, done that and got the t-shirt’. Today I read an article about one of our most decorated sports figures who’s done more than ‘get the t-shirt’. He has won Wimbledon twice and has endeared himself to the nation. 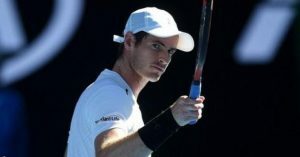 Andy Murray, I read, is going to start mentoring the next generation of elite athletes. This is great to hear and you can read the full article here. It caught my imagination. As we’ve watched Andy flourish we’ve learnt that there is a lot more involved than just being good at your sport. You have to manage fitness and health whilst also dealing with elements such as media scrutiny. It can’t be easy, and I imagine that those who follow in his footsteps will have lots of challenges along the way. Having Sir Andy “in your corner” is quite a thought! I am hopeful that this will be making a significant difference for the sporting world. But it is my conviction that this is a model that is worth repeating elsewhere and is also a model that we see echoed in the Bible. It is also a model that I’ve experienced in my own life and I strive to embody in what I do. One example of this would be the climbing that I’ve done over the years. There is a keen sense of mutual support among climbers. The best way to learn is to go out with more experienced climbers who quite literally show you the ropes and very graciously let you use some of their equipment. I was fortunate that when I started climbing a lot of my contemporaries were trainee or qualified instructors. They were patient with me. As I have progressed, I have found myself passing on tips, encouragement and important safety advice to the novice climbers that I’ve come alongside. Well, if I was fortunate with climbing partners, then I say with conviction that I’ve been truly blessed with those who have encouraged me in my spiritual journey. Saintly people, some no longer with us, who have nurtured, supported and mentored me over the years. I aspire to follow in their example. It is something important for the church. But, importantly, it is something we see modelled in the Bible, not least in the person of Jesus Christ. Reading through the Gospels we see Jesus gathering around him friends and followers – the title that we give them is ‘disciples’. They probably wouldn’t surface at the top of the pile of job applicants, but Jesus had a purpose for them and when we look at the Church, almost 2000 years later, the impact that these individuals have had is very significant. I don’t expect Sir Andy will be reading this blog any time soon. If he does stumble across it though I do hope though that he is encouraged to stick with the important work of investing in individuals who will go after him. For other readers though, I ask the following question: If you are a person of faith, how might you make sure that you are investing in those that will come after you? Or, if you are a person who is learning about or discovering faith, what are the kinds of people that you are going to look for to help you in the journey? In conclusion, if you want me to help you learn about or progress in climbing I am more than happy to pass on what I know. More so though, if you would like me to share my journey of faith and how it has shaped my life then please let me know!